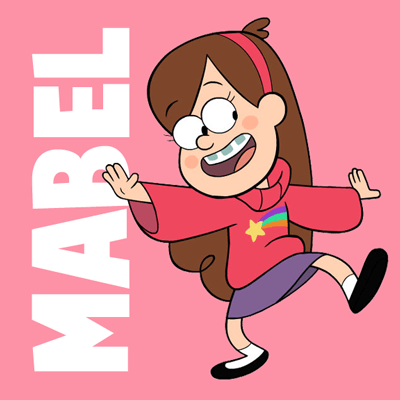 for halloween, my brother and i are going to be dipper and mabel pines from gravity falls. 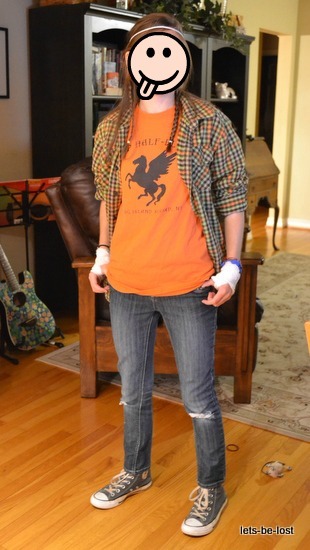 yesterday was my church’s fall festival, and we wore them there, too. 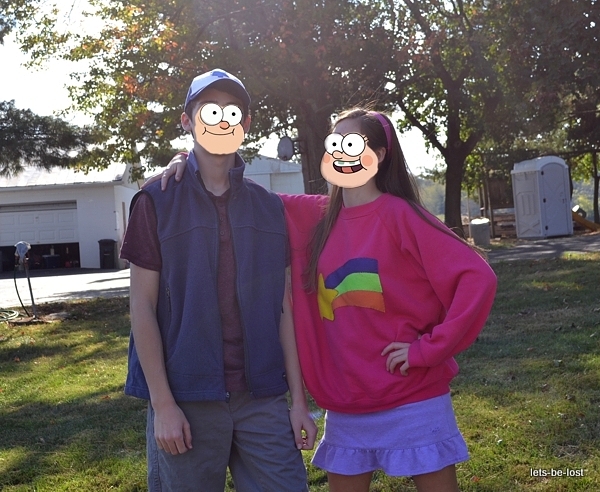 only one person knew who we were, which is kind of weird, because gravity falls isn’t a super obscure show. one lady thought i was a my little pony character. sigh. 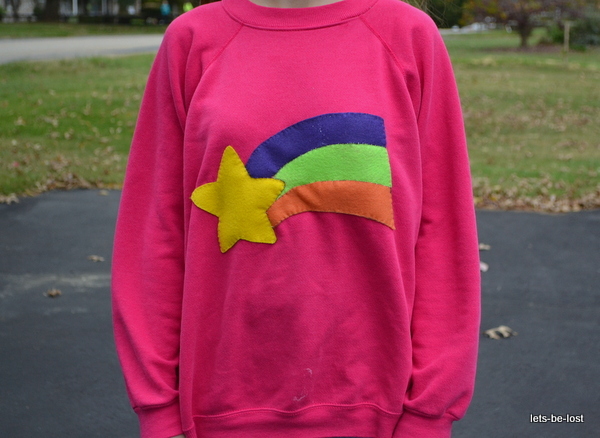 the most time-consuming piece was mabel’s shooting star sweater. i found a hot pink sweatshirt at goodwill that was pretty much perfect in every way. then i had to add the shooting star design. my mom sketched out the shooting star on a piece of cardstock. 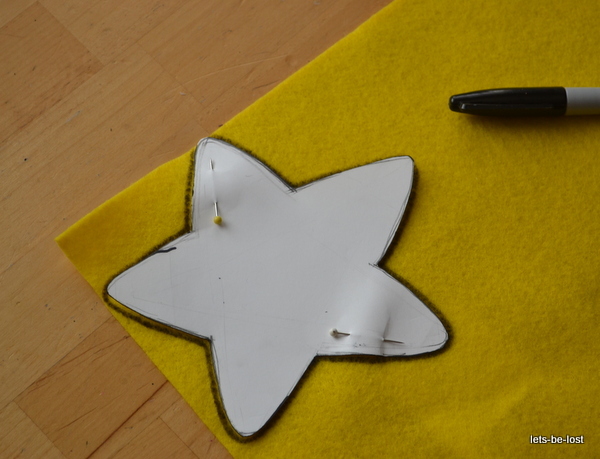 i cut out each section of the design (star and the three parts of the tail) and pinned them to sheets of felt. then i traced the paper shapes with a sharpie and cut them out. here are all the pieces of the design. 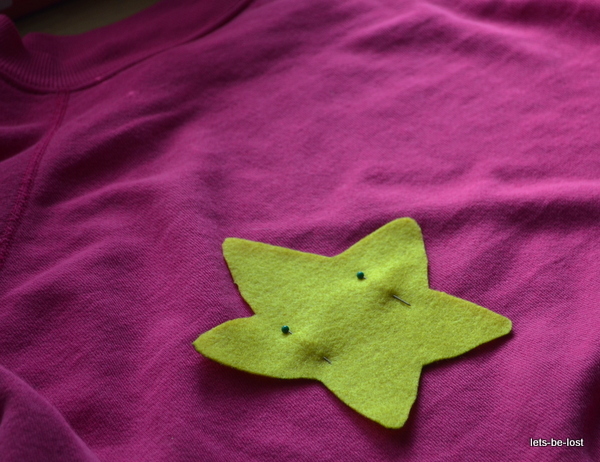 next, i pinned the star to my sweatshirt and sewed it on. 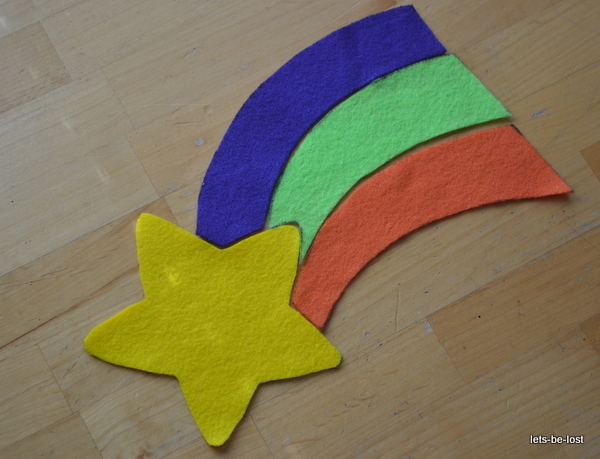 i used cream thread, because that goes well with most colors, but you can match the thread to the felt if you want. 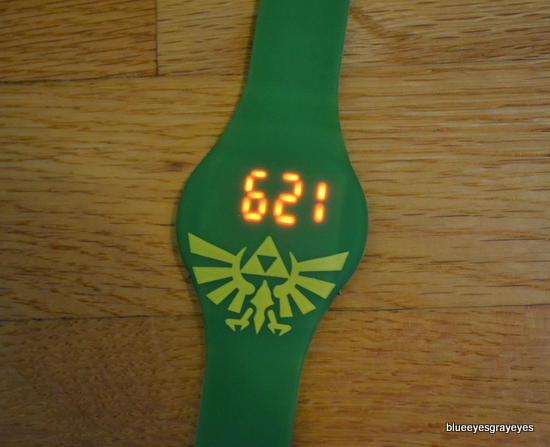 i did it all by hand, but using a sewing machine would make it go much faster. 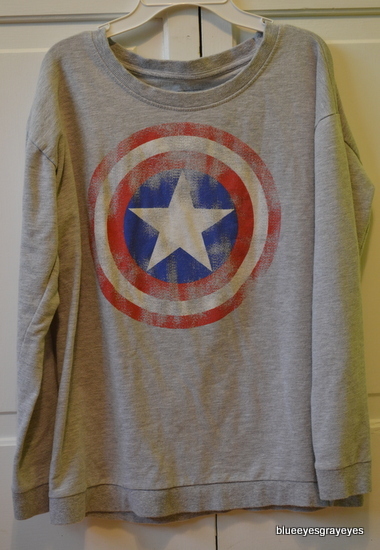 here’s the finished sweater! 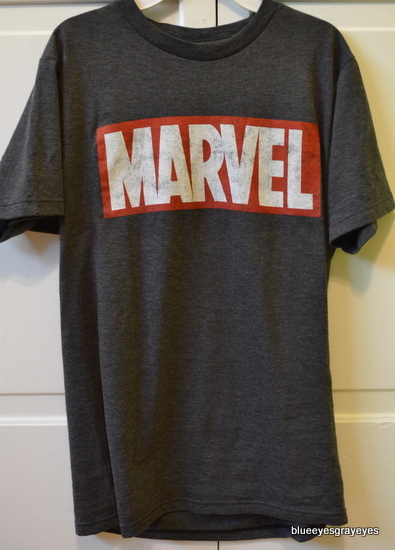 it’s soft and has floppy sleeves and i love it very much. i got the headband from hobby lobby for $2. it was part of a two-pack. i got the purple skirt at goodwill. it’s actually a sundress that i cut the bottom off of. the socks are part of another hobby lobby two-pack, and the shoes are from my mom’s closet. idk how you could make fake braces, but i actually have braces, so it wasn’t much of a problem for me. i love my costume, i love the tv show, i love how cute my brother and i looked, and i love halloween. i really hope we get another chance to dress up as the pines twins. hey! 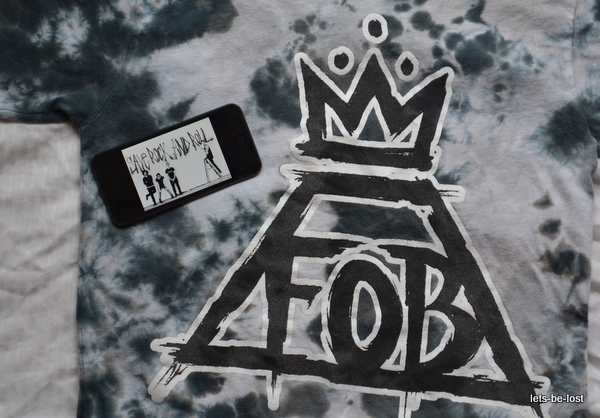 i thought i’d show you guys all the band merch that i’ve collected over the years. 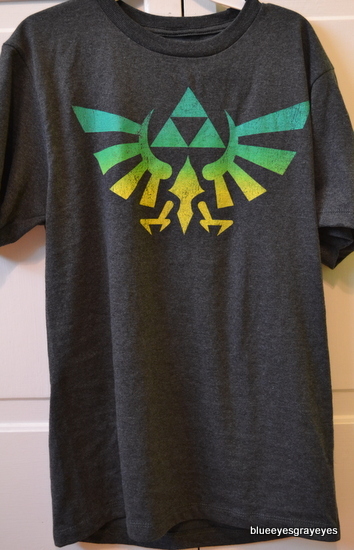 i think i found most of it at hot topic, so if you see something you like, check out their online store. by the way, i’m not trying to brag or anything like that. i’m just sharing my collection. 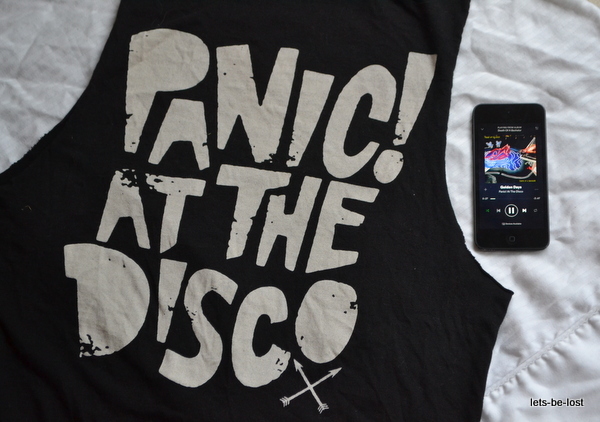 behold, my one panic! 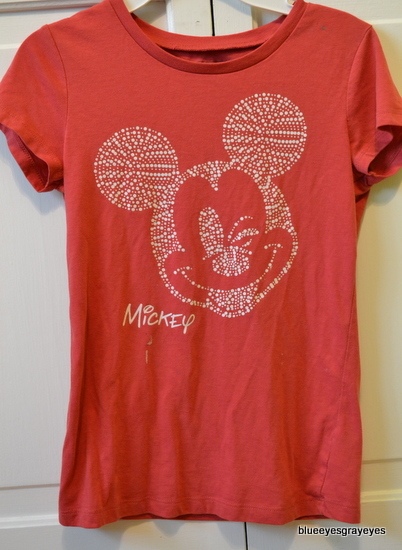 shirt. it’s a muscle tee (apparently some people call that style “bro tanks.” i’m still laughing about it) and very comfortable. 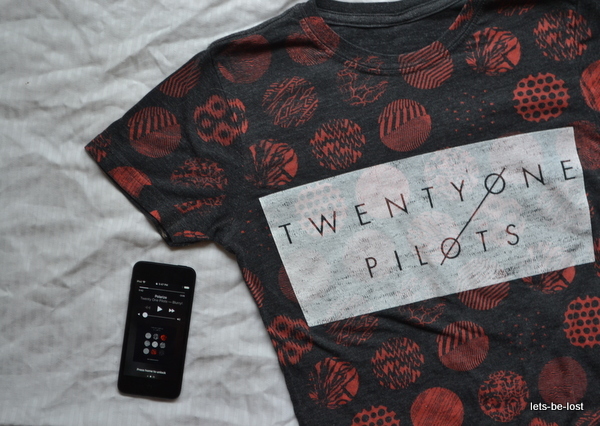 of course i have tøp merch. 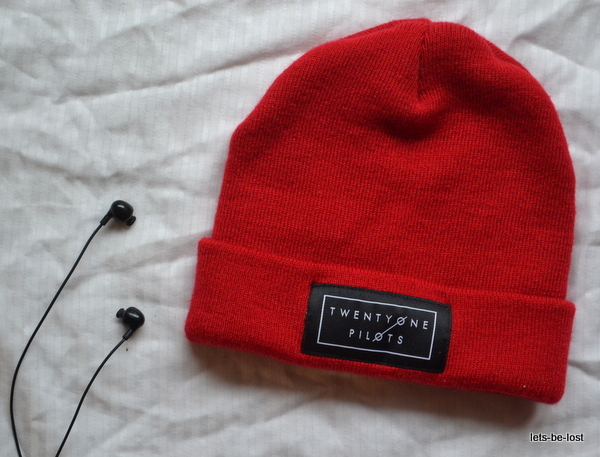 yep, i still love beanies. they’re so cozy. 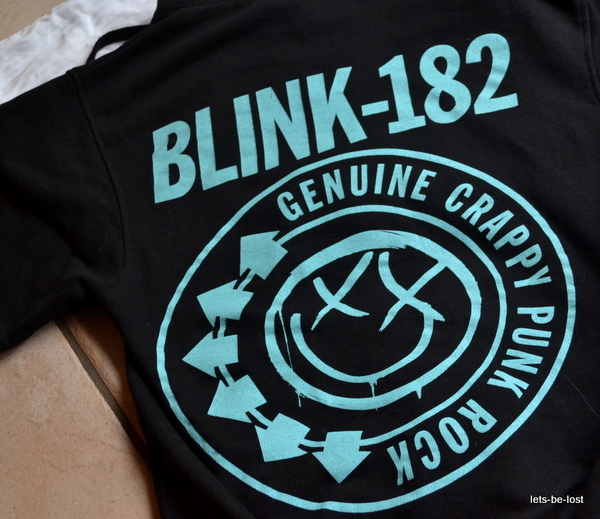 but this one looks better on my friend n than it does on me, and i’m not ok with that. 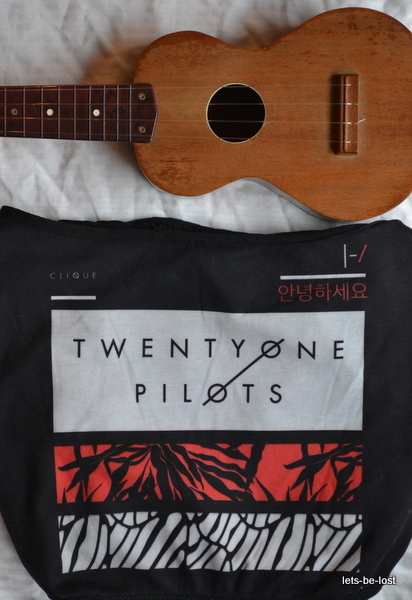 ft. my ukulele, which i love very much. idk if you can tell from the picture, but this is a bag. 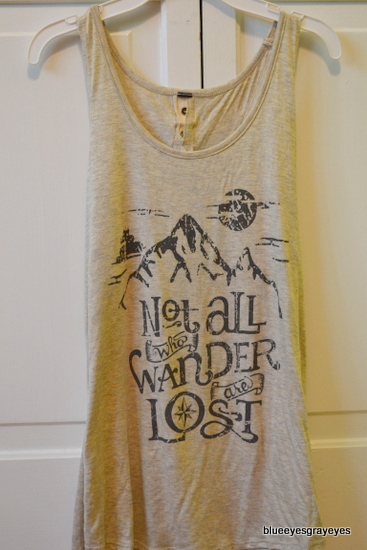 it’s pretty roomy and it’s got pockets on the inside (!!). a girl complimented me on it when i was at the movie theater with my friends. i like this one because this shade of blue looks fricken amazing on me. 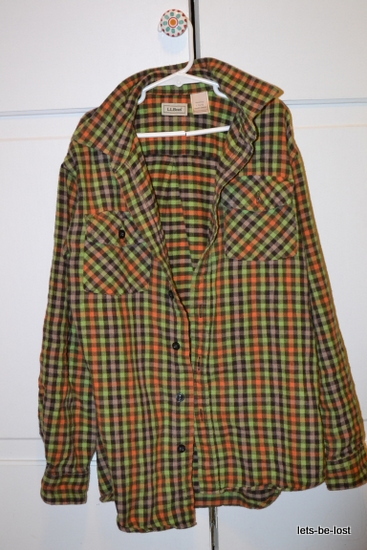 this one is kind of simple, but it looks great with a flannel, so it’s all good. 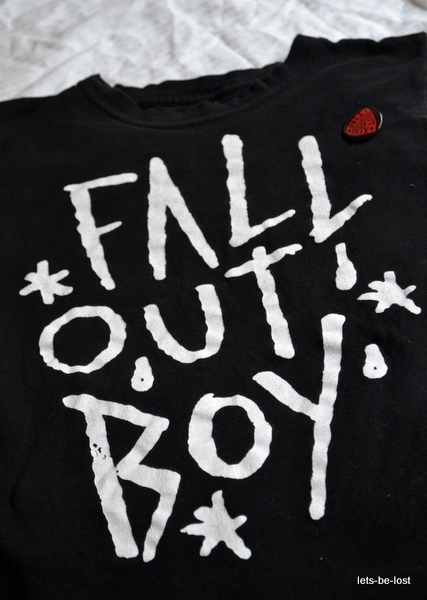 i was hunting for pins a few days ago and found this fall out boy one. 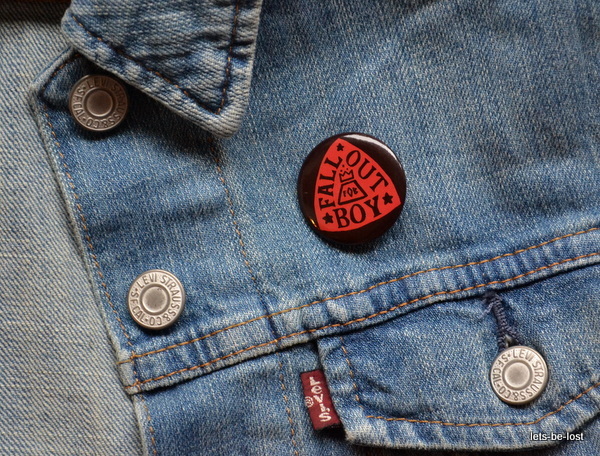 it’s on my denim jacket now with a few other cute pins. 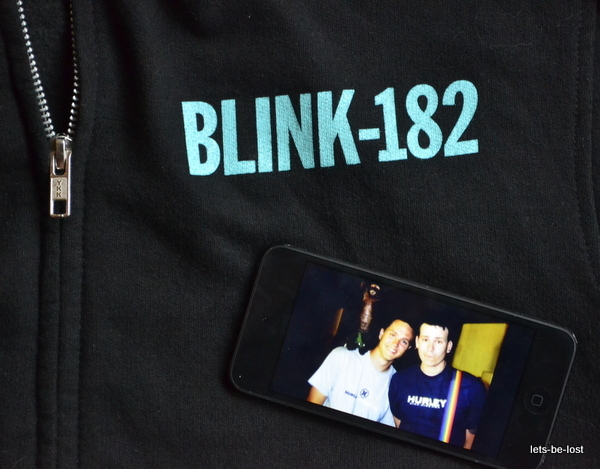 i’m pretty sure i’ve posted about this jacket before, but whatever. it’s too big on me, and that’s fine because i usually wear oversized clothes anyway. this one is a tank top that i accidentally stretched out during a 5k this summer (thanks to lots of mud and ice water and cinder blocks ). 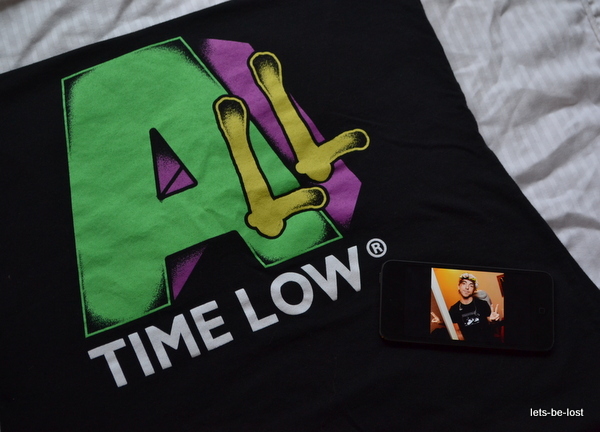 it looks like the mtv logo and that’s pretty cool. i ordered this one off amazon, i think. i really want to color it in with sharpies, but i know that i’d mess it up. 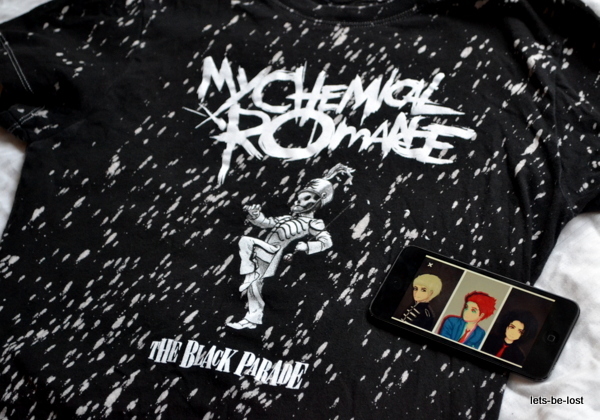 i only have one mcr shirt and it’s really a huge problem. my principal, of all people, complimented me on it. i know him from church and he usually says hello to me while i’m walking to class, or he’ll ask how my day was when i’m waiting to be picked up. it’s a little weird, but i’m getting used to it. 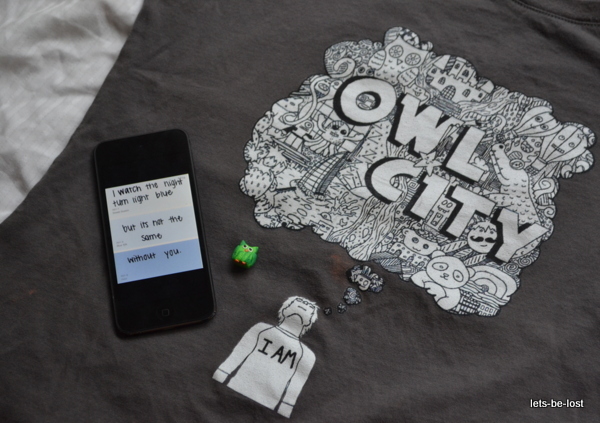 i’m thinking about getting oh wonder merch next, or maybe dodie or the front bottoms. i don’t really know. but i just blew most of my money on books (i got seven new ones in one day, help me), so it probably won’t be anytime soon. 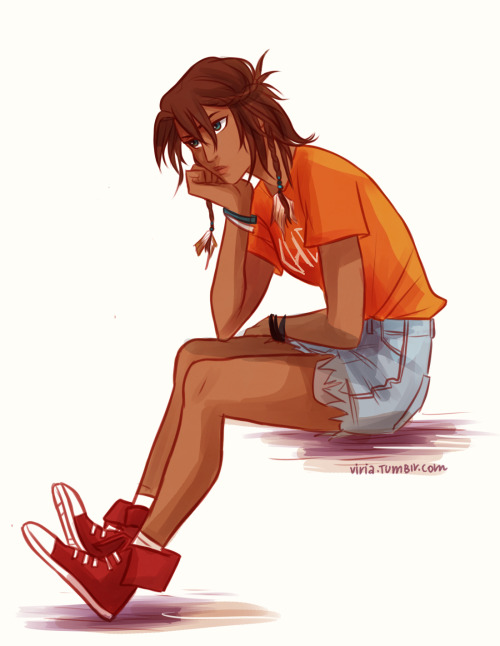 I’m basing the cosplay off this drawing by the lovely Viria. It’s pretty much exactly how I pictured Piper while reading the books. I’ll start with the basic outfit, then move on to some accessories. 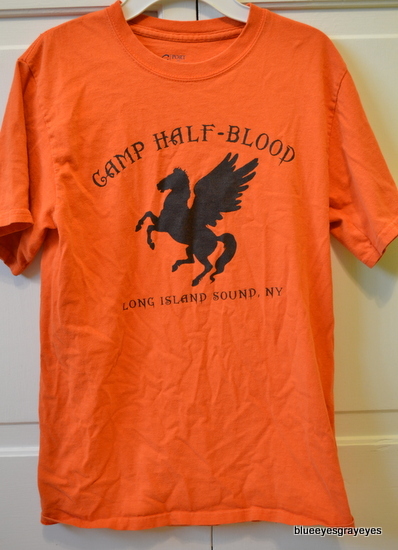 A staple in any demigod’s wardrobe is, of course, an iconic Camp Half-Blood shirt. Either buy one from Amazon (I recommend this one) or make your own. 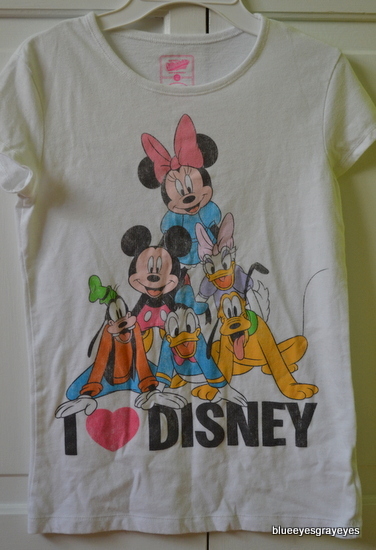 One way to make one is by using a bleach pen. 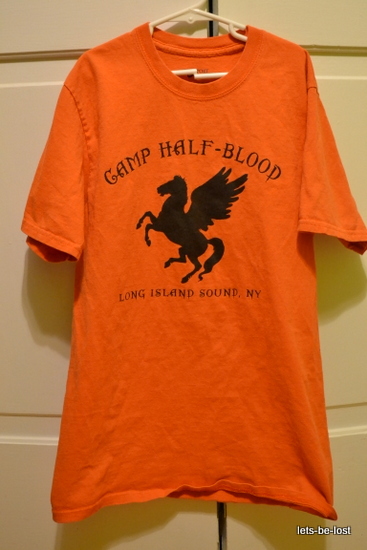 In the drawing, Piper’s shirt has “CHB” on it in white letters, which would be super easy to make using this bleach pen tutorial. 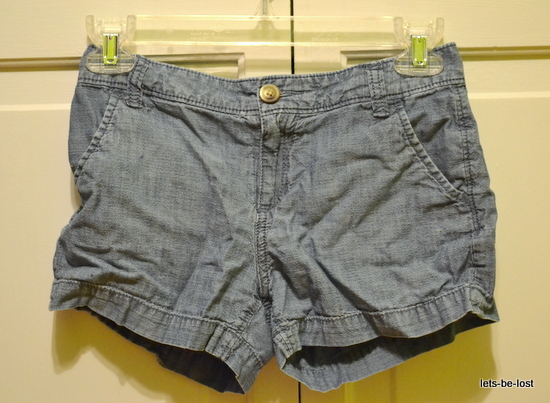 Denim shorts would be perfect, but if it’s cold in your area around Halloween, ripped jeans are also a great option. 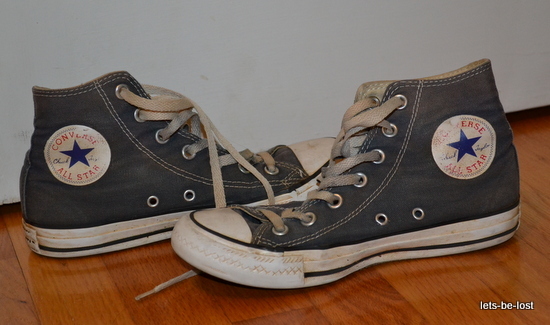 Converse or combat boots would look great. Piper seems like the kind of girl who would wear plaid, and she wears it in a lot of fanart. Layer an open plaid shirt over the CHB T-shirt. 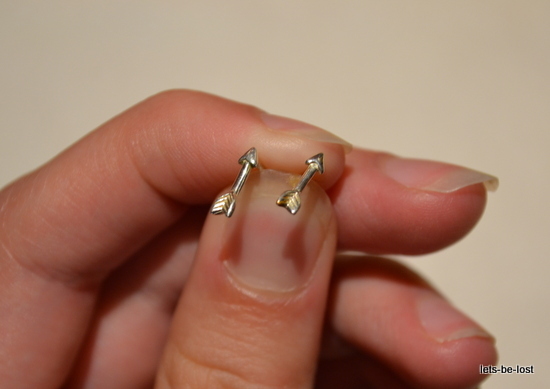 A simple bracelet and/or earrings would go nicely with the outfit. This is the hardest part of the whole cosplay. First, we’re going to decorate the feathers. You can get them at a craft store, or find them outside (mine are from a mourning dove). 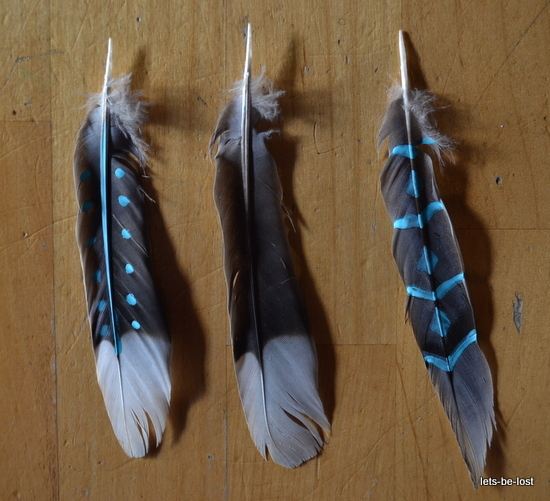 I painted designs on two of my feathers with turquoise acrylic. You don’t have to decorate your feathers if you don’t want to. Now we’ll make the actual headband. 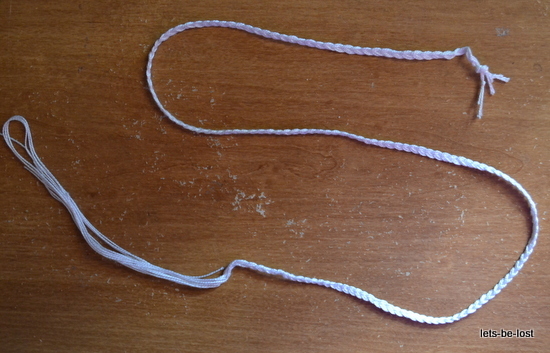 I didn’t measure my string, but it was long enough to wrap around my head, with about seven extra inches. I cut nine pieces of string because it was really thin. If yours is thicker (like yarn), you don’t have to cut that many. Braid it until you can wrap it around your head. 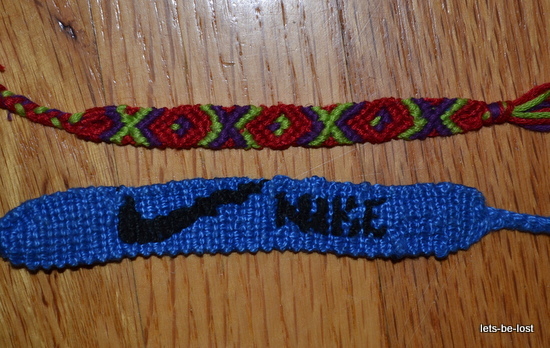 Then tie both ends together. Do not cut off the rest of the string. 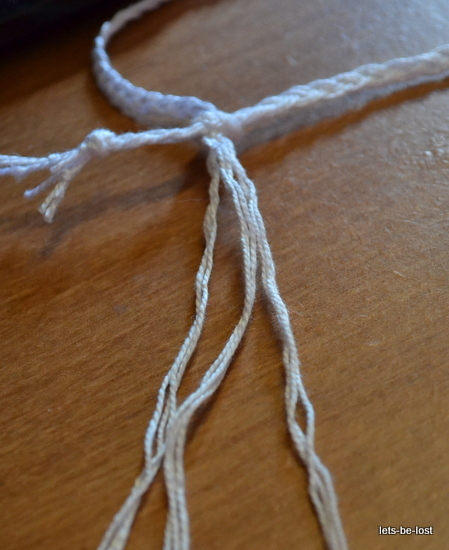 Separate the remaining string into three equal parts. 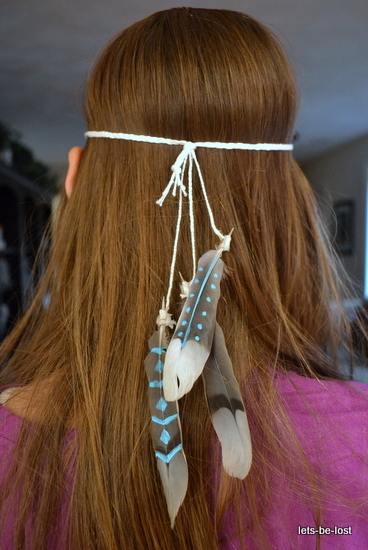 You will be using the string to attach the feathers to the headband. Weave three single braids out of the string, making them various lengths so the feathers don’t end up in a straight line. 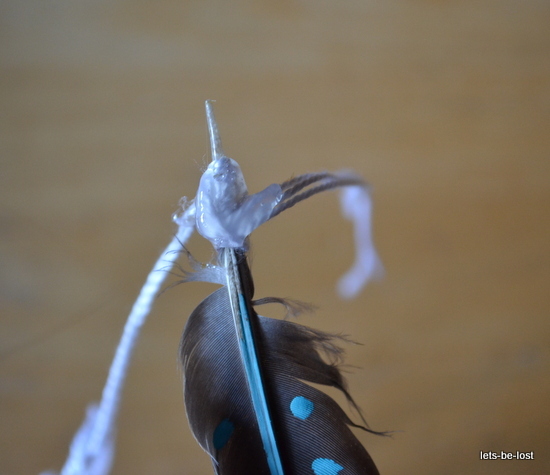 Take a feather and wrap the end of a braid tightly around the shaft. 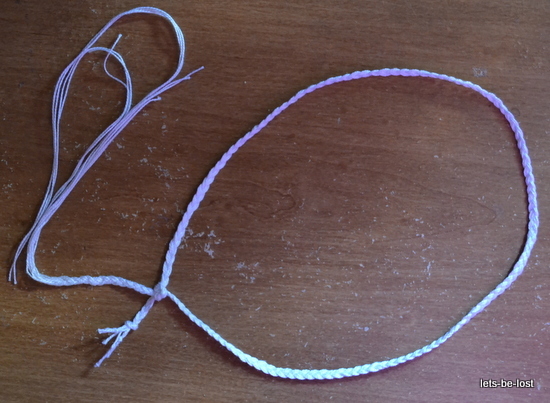 Tie a knot, and then cover it with hot glue to ensure that it stays on. Repeat with the other two feathers. 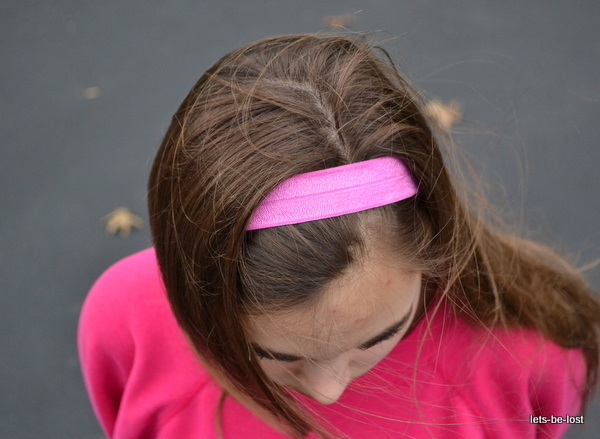 Pull back two sections from either side of your head and secure in the back with a hairband. 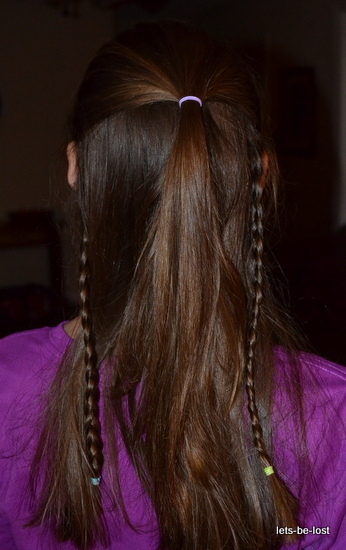 Make two thin braids, one behind each ear. 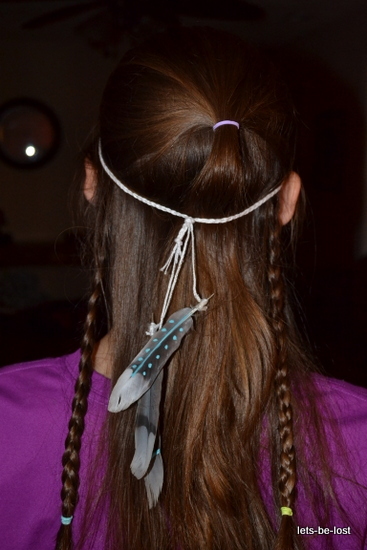 Put on your feather headband for the final touch. Sorry for the low quality picture. It’s dark now, so I can’t take a better photo outside. What’s your Halloween costume? Have you ever cosplayed? 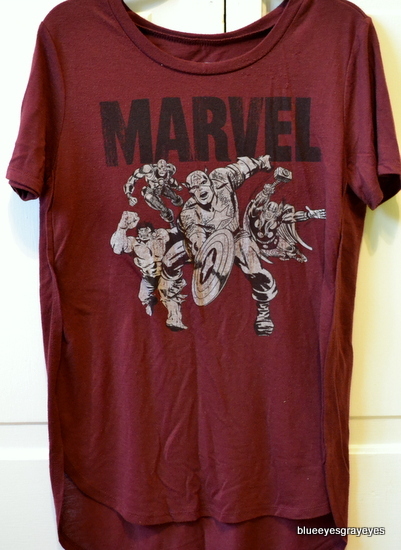 I like this shirt because the sleeves are long, and I can tuck my arms in and slap people with the floppy sleeves. Yay — Percy Jackson! 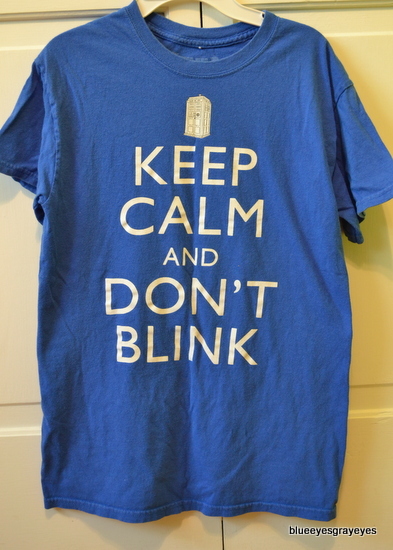 If I ever go to New York City, I’m totally wearing this shirt. 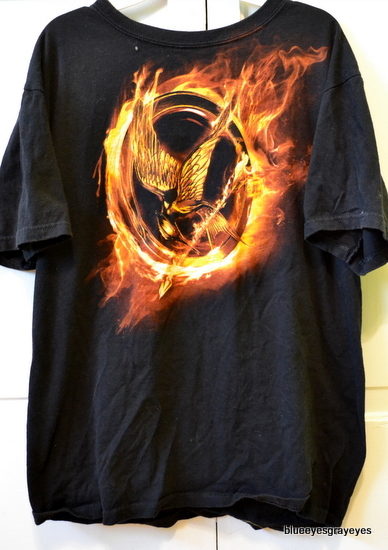 The first time I wore this Hunger Games T-shirt, I got a lot of compliments. 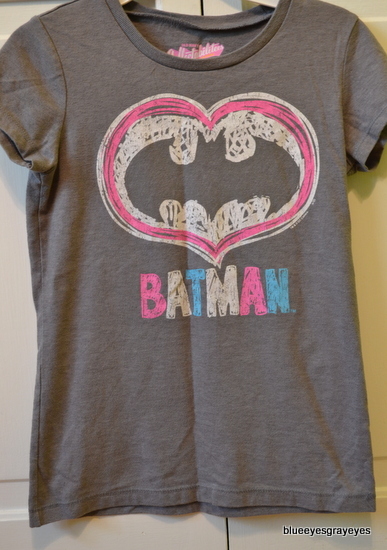 It seems like I wear this shirt every time I go to my friend Megan’s house . 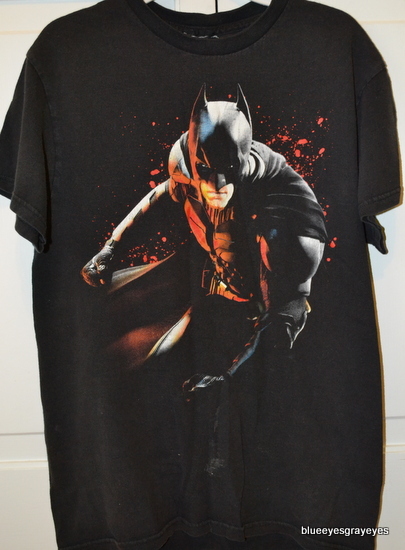 . .
BATMAN HAS HIS OWN FANDOM. 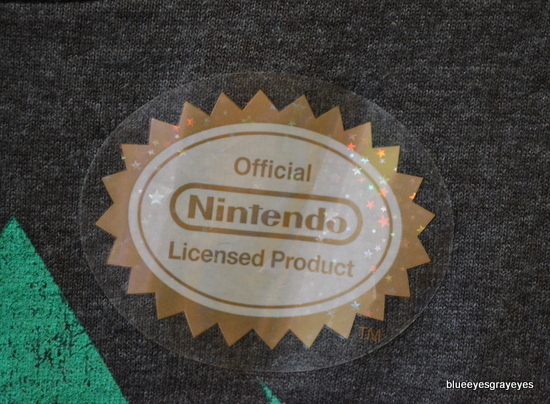 Do you see this sticker? It’s official. And so sparkly and gold. 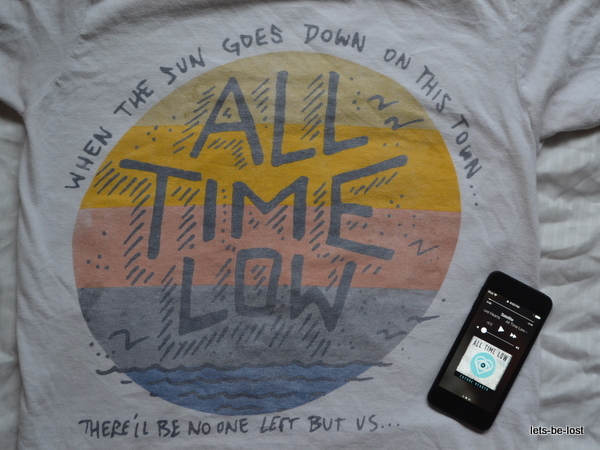 I’m gonna keep it forever. 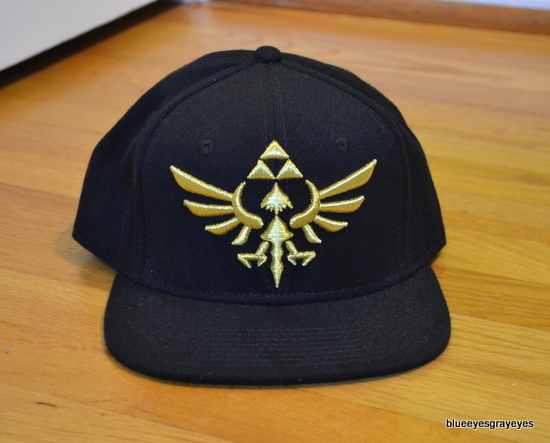 The Hylian Crest from Legend of Zelda. 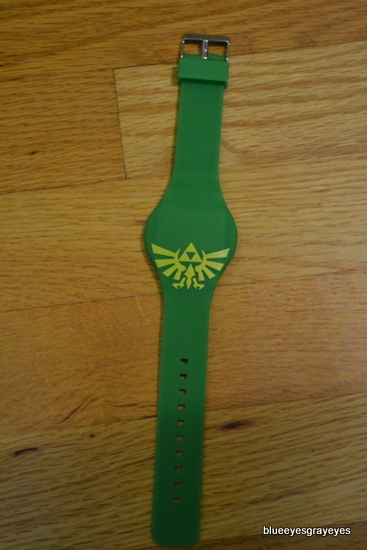 My brother says that I’m not a real Legend of Zelda fan because I can’t recite the entire Zelda timeline. I think that’s dumb. It’s like saying you can’t be a fan of a band because you haven’t memorized every song, or that you’re not a real fan of Marvel because you haven’t read every single comic ever made. No, you’re only a real fan if you have little blades and spin around on the ceiling. 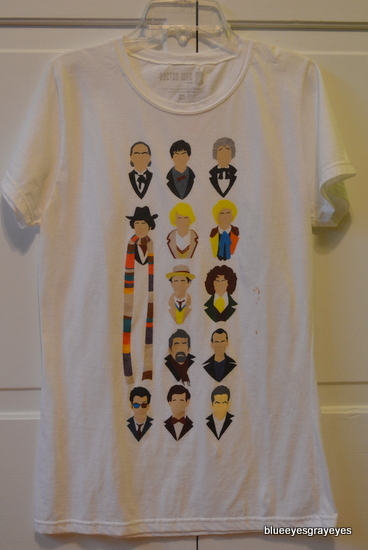 Are you in any of these fandoms? I’ve been meaning to do this review for a very long time . . . I just haven’t gotten around to it until now. 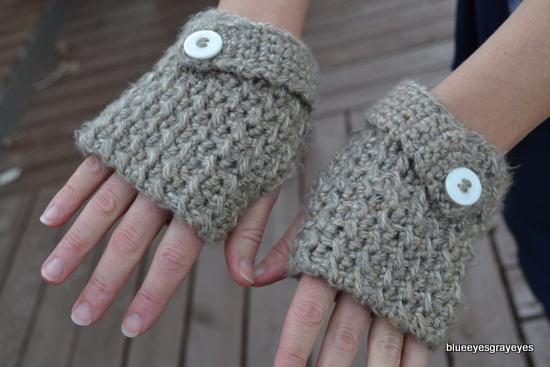 Eh, it’s still pretty cold where I live — I can do reviews of fingerless gloves if I want. 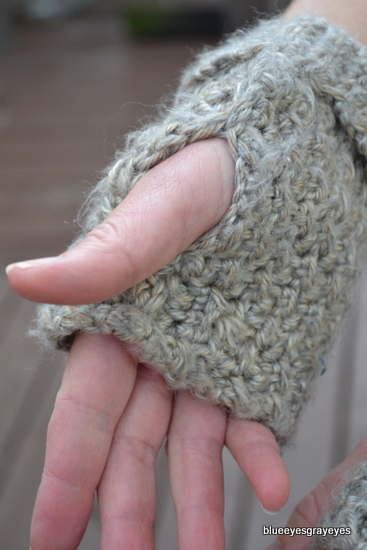 I bought these fingerless gloves from an online shop called Ashley’s Crochet Corner. 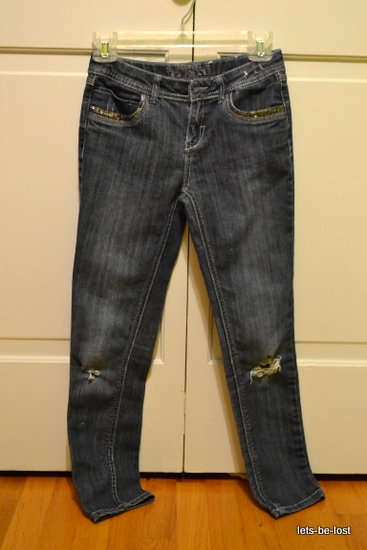 They were $16.00, shipping was about $6.00. The package the gloves came in was covered in really pretty wrapping paper. 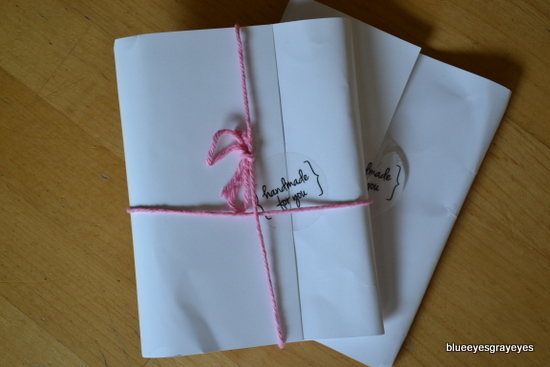 The gloves themselves were individually packaged in sturdy paper (above). It came with a nice note that included a discount code. Ashley, the owner of the shop, included a surprise bracelet! 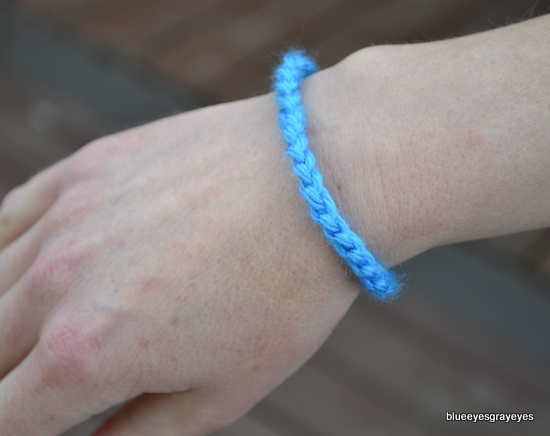 It’s crocheted out of blue yarn — my favorite color. 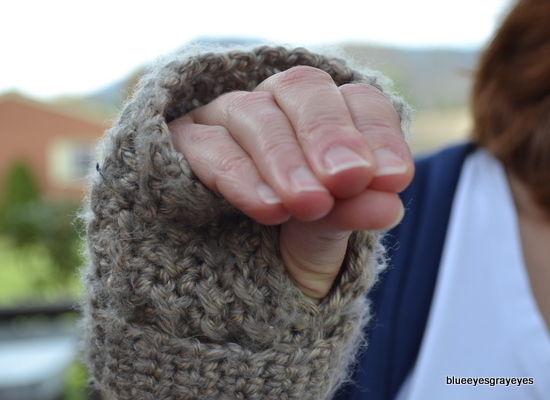 Here are the fingerless gloves (modeled by my mom). 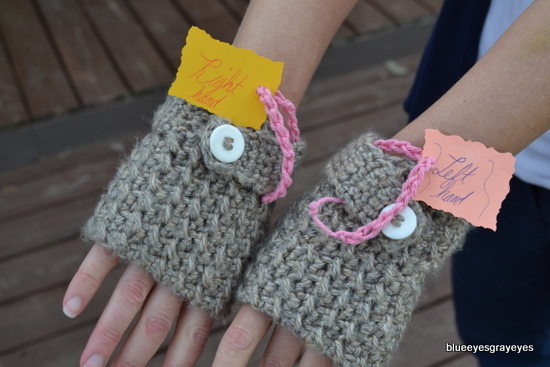 Attached to the gloves were tags that told you which hand to put them on. My gloves were crocheted out of a color called “Grand Canyon.” Ashley has lots of other colors to choose from, though. 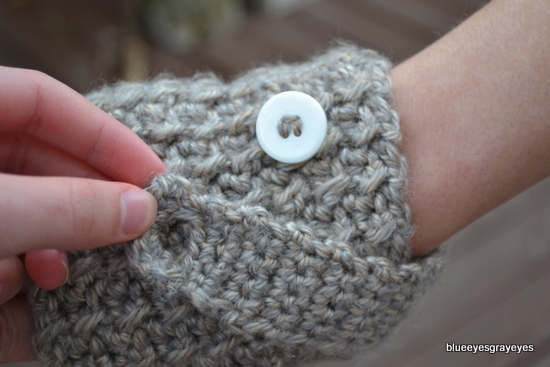 A decorative strap attaches to a big white button. 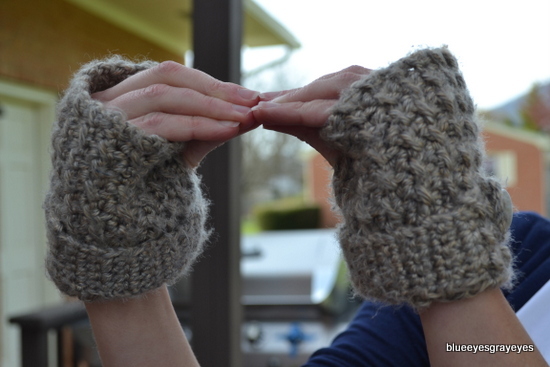 I really love these fingerless gloves, and I have no complaints! I’ve had them for months and they show no signs of falling apart. They’re surprisingly warm. They fit perfectly, too — Ashley has a sibling my age who helped make sure the gloves would fit. 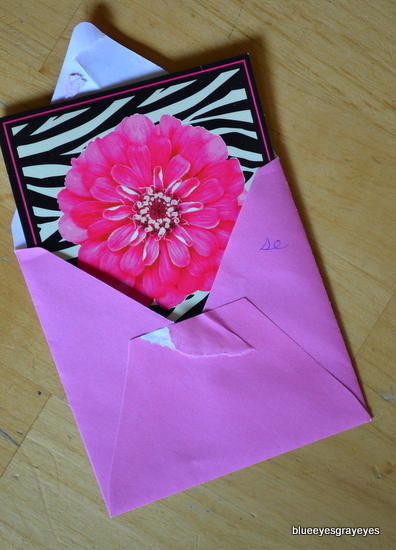 The owner of Ashley’s Crochet Corner was extremely helpful during the buying process. She made the gloves really quickly, and they shipped quickly, too. 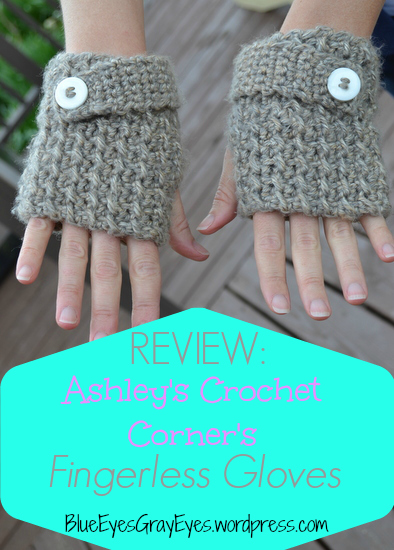 Make sure to check out Ashley’s Crochet Corner!